Europe may boast of a number of countries having some of the highest incomes and standards of living in the world but it also proves the most costly. According to Glassdoor's report entitled " Which Countries in Europe Offer The Best Standard of Living?, ” Britain's capital London has the highest rent in the whole of Europe, meaning that people spend a bulk of their wages on just finding somewhere to live. 10. Helsinki — The Finnish city makes the list because despite the whole country on average having pretty high wages, Helsinki has one of the highest costs for living across all categories. 9. 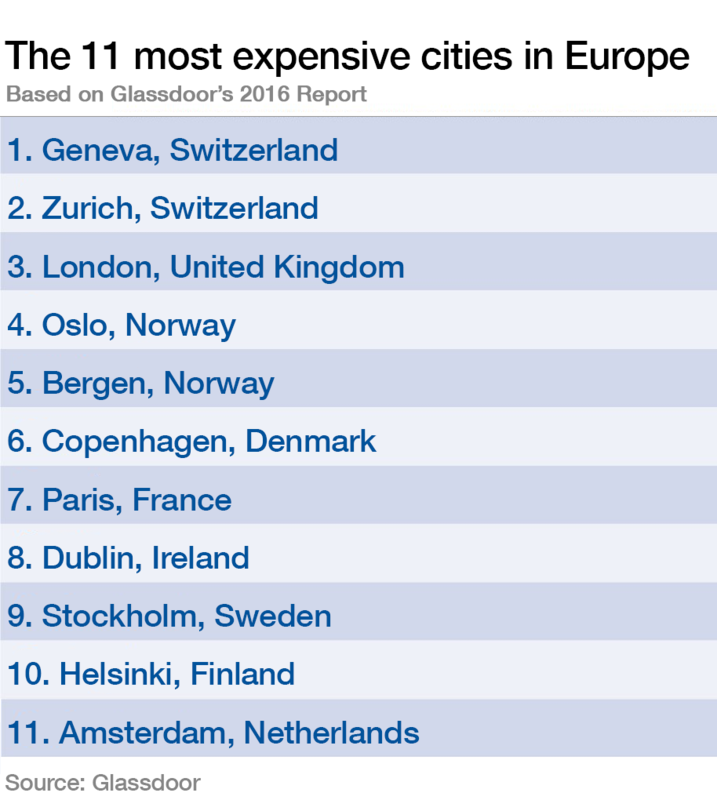 Stockholm — Sweden ranks as having one of the highest standards of living in Europe, thanks to the cost of local goods and services (including food, transportation, and rent) being relatively modest when you compare it to take home pay. 7. Paris — Annual wages are relatively modest and are ranked 6th from the bottom of the average nominal annual wages index provided by Glassdoor when looking at France overall. However, property costs are exceptionally high in the capital, causing Paris to be one of the most expensive places to live in Europe. 5. Bergen — The Norwegian coastal city is surrounded by mountains and fjords but the high cost of living is higher than people living in Los Angeles in the US. 4. Oslo — The Norwegian capital has some of the highest wages in the whole of Europe but everything from groceries to utility bills is costly and even transportation will take a wedge of monthly salaries. 3. London — Britain's capital has the highest rents in Europe and considering income is lacklustre, it costs Londoners a huge proportion of their wages each month.